Booed Sanchez to stay benched? 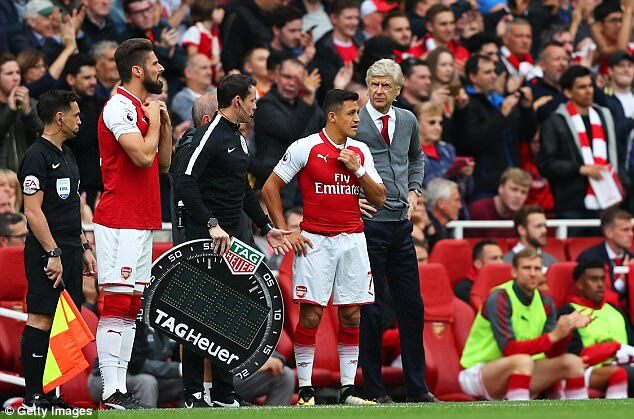 Alexis Sanchez returned to the field in an Arsenal shirt to a mix of boos and cheers after coming on as a substitute against Bournemouth. 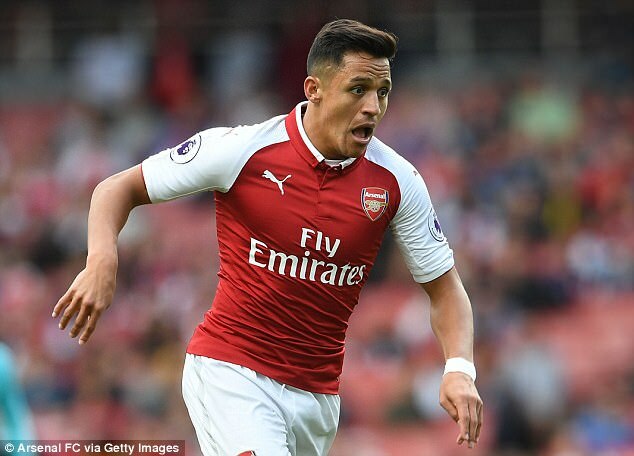 But after a failed deadline day move to Manchester City, what does the immediate future hold for Sanchez at the Emirates? 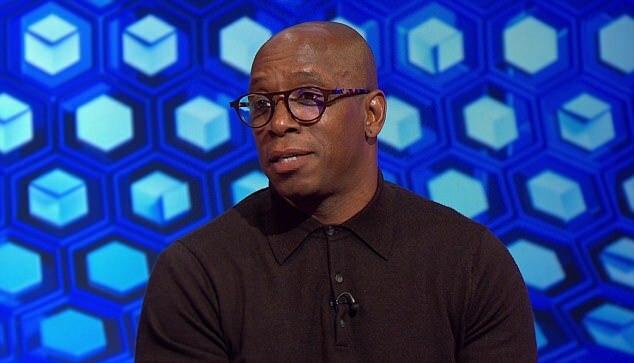 When discussing club record signing Alexandre Lacazette, Gunners legend Ian Wright has suggested the French striker should be given every possible chance to succeed, rather than the club reintroducing Sanchez into the side at any cost. 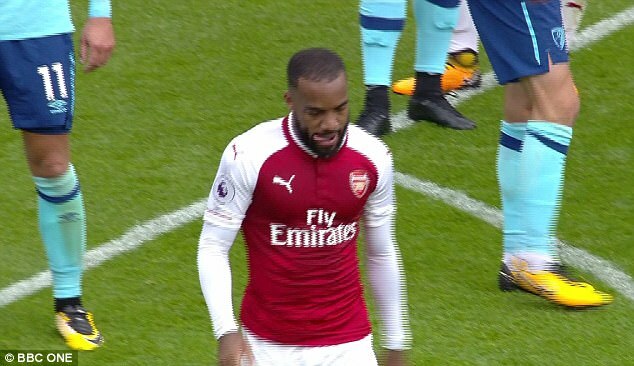 Speaking on Match of the Day, Wright highlighted the frustrated reaction of Lacazette, after he was taken off in a double substitution which saw Sanchez enter the field with 15 minutes remaining, and suggested the Chilean’s desire to leave the club should give Lacazette more of a chance to impress. ‘He should be disappointed coming off to be honest, because you want to stay on, you want to play,’ Wright said. But what should Arsene Wenger do with wantaway Sanchez? Sportsmail takes a look at both sides of the argument. Alexis Sanchez is not part of Arsenal’s future, so why should he be a major part of the present? That is something Wenger will have to weigh up, but the Frenchman finds himself in a position where he needs to turn a corner and get the Gunners back into the title race and the Champions League. Could the wantaway Chilean be a disruptive influence and a distraction from that in the dressing room, where he will be with a group of players intent on restoring both their club and themselves back to where they feel they belong? 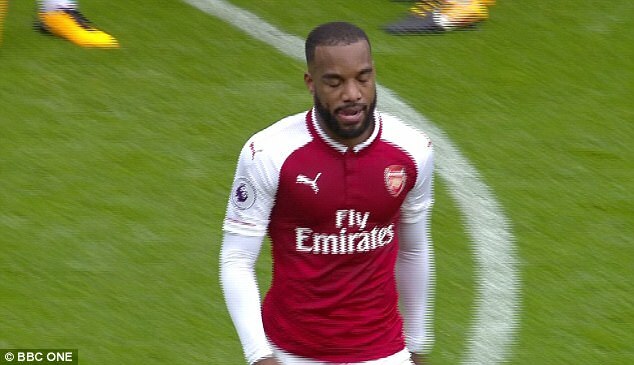 In Lacazette, Wenger has signed his club’s future, with the record transfer outlay pointing towards the fact he is their main man, so it makes sense to give him every chance to succeed. It also makes sense to give the likes of Danny Welbeck, Theo Walcott, Alex Iwobi and even Jack Wilshere the chance they deserve to be firmly in the Gunners’ future plans. Then there’s Olivier Giroud, who regularly impresses off the bench but seems unable to nail down a starting spot under Wenger. Maybe he deserves a serious chance to stake his claim. Without Sanchez on the field, Arsenal raced into a 3-0 lead against a Cherries team they disposed of with ease. Greater tests will come, of course, but maybe they don’t need him so much after all. Does the presence of a player who clearly wants to leave cause a dressing room distraction? On the flipside, despite his clear desire to leave, Sanchez arguably remains the Gunners’ most talented player. Arsenal find themselves in the unusual situation of being without Champions League football for the first time in two decades, desperately needing to get back to Europe’s top table after finishing fifth in last season’s Premier League. They surely can’t afford to leave a man who is perhaps their only world class player sitting on the bench or in the stands. That would be a case of cutting your nose off to spite your face and would not be in the best interests of Arsenal’s future. They are playing for their future. Combining Sanchez with Lacazette and Mesut Ozil, as well as a supporting cast including Welbeck, Walcott and Aaron Ramsey, is surely the best recipe for success. In fact, sidelining the Chilean and all the scrutiny which goes with it could even cause more of a distraction than leaving him out entirely. 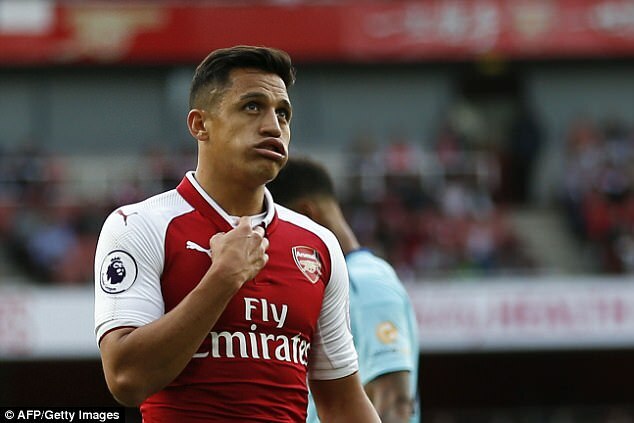 While Sanchez is almost certain to depart, either in January or for free next summer, there is surely every reason for him to give his all on the field. He will be looking to get the best move and best financial package possible, meaning he will be keen to show his true ability whenever he takes to the field. Wenger doesn’t have time on his hands and football doesn’t work that way anymore. Arsenal can’t afford to remain on the fringes next season and getting the best out of Sanchez is vital in ensuring that does not happen.